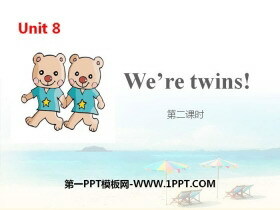 《We're twins》PPT(第二课时) 第一部分内容：Introduce ---My name is Vivi. May I have your name? ---Im ---Whos she/he? ---Shes/Hes ---My name is ---Im ---Whos she/he? 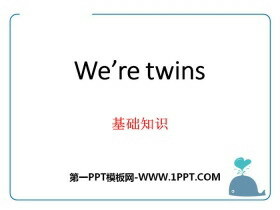 ---Shes/Hes ... ... ... We're twinsPPT，第二..
《We're twins》PPT(第一课时) 第一部分内容：Introduce Lets play a game. I say, you guess ! Fathers father. Grandpa. Mothers mother. Grandma. Youre right, go on! 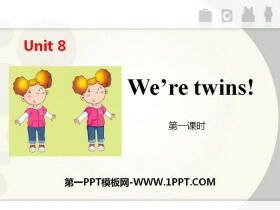 ... ... ... We're twinsPPT，第二部分内容：Words we..
《We're twins》基础知识PPT 第一部分内容：重点单词 1.we 我们 2.girl 女孩 3.man 男人；人 4.woman 妇女；女人 5.boy 男孩 6.name 名字 7.we're＝we are 8.twin 双胞胎之一 9.aunt 姑母；姨母；伯母；婶母；舅母 10.baby 婴..
《On the farm》PPT(第二课时) 第一部分内容：Introduce play the game Look at the picture. What can you see? How many pears? Lets count. ... ... ... On the farmPPT，第二部分内容：Expand 有趣的水果英语 Why do you l..
《On the farm》基础知识PPT 第一部分内容：重点单词 1.farm 农场　2.they 他们，她们，它们 3.those 那些 4.apple 苹果 5.pear 梨 6.orange 橙子 7.who 谁 8.pig 猪 ..
《What time is it?》PPT(第二课时) 第一部分内容：Introduce What time is it? Its 12 oclock. Yes. Its time for lunch. 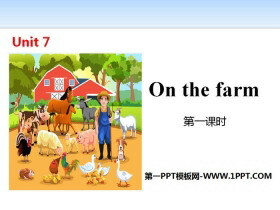 Now you can play this game in groups. 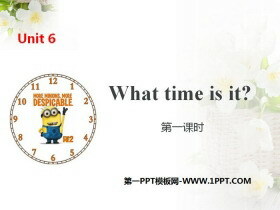 What time is it? 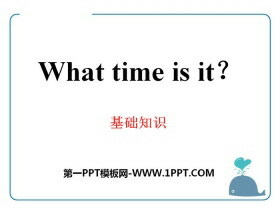 Its ... ... ... What time is it?PPT，第..
《What time is it?》PPT(第一课时) 第一部分内容：Introduce ---Look at the picture and answer:Who is he? ---He is sleeping. Its late. ---You can say? ---Wake up! 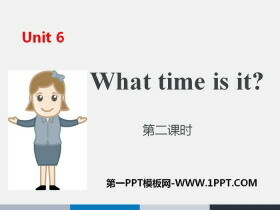 ... ... ... What time is it?PPT，第二部分内容：Wor..
《What time is it?》基础知识PPT 第一部分内容：重点单词 1.class 课；上课 2.bed 床 3.OK 好；行 4.lunch 午餐；午饭 5.eleven 十一 6.twelve 十二 7.bag 包；书包 8.mum 妈妈 9.o' clock 点钟 10.dinner 晚饭 11.breakfast ..
《How old are you?》PPT(第一课时) 第一部分内容：Introduce How old are you? Im ten. /Im nine. 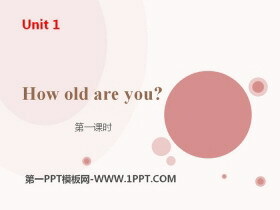 Now we know their ages, and how about you? 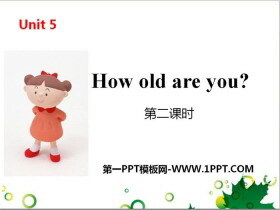 How old are you? 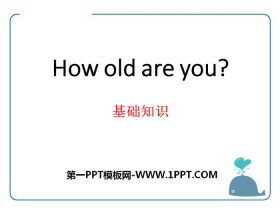 ... ... ... How old are you?PPT，第二部分内容：Words love..
《How old are you?》基础知识PPT 第一部分内容：重点单词 1.four 四 2.five 五 3.six 六 4.seven 七 5.eight 八 6.nine 九 7.ten 十 8.lovely 可爱的 9.right 对的；正确的 10.out 出局 11.want 想要；想 ... ... ... How old..